The Weekly Special went out this morning, and it showed a real estate seasonality graph which included 20 years of closed home sales and how different times of years typically performed. We can use seasonality to prepare for both the busier times of year (typically March through August) and the slower times of year (September through February) in the Tallahassee Real Estate Market. But 2011 does not appear to be performing along historical seasonal norms, and this happens to be good news for the Tallahassee housing market. 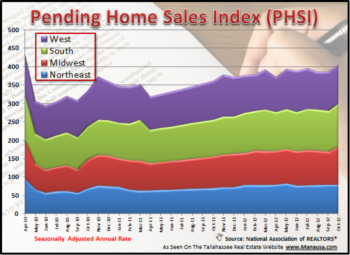 Additionally, the Pending Home Sales Index shows signs of moderate strength, so I'm expecting the remainder of 2011 to be stronger than normal. In the real estate graph above, daily pending home sales are tracked showing the one-year average, and our current level is slightly above the level we observed this time last year. But last year, the pending home sales index was on a decline, while this year the trend is rising. I'm hoping this means we will have a better finish in 2011 than we had in 2010. By monitoring the pending home sales trend, we gain an understanding of what we should expect to see from closed home sales in the next few months. Typically, a new contract (pending home sale) closes in about 50 days from the time the contract is written. 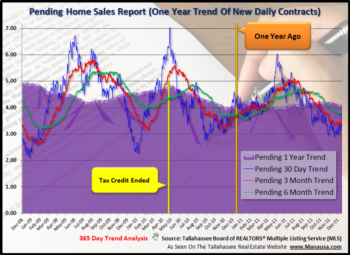 Therefore, we are now very much in the period of time that the final sales of 2011 are being written, and the next few weeks will determine whether or not 2011 goes down in Tallahassee real estate history as the worst year on record or whether that honor will remain in the past. If you want additional reports on the Tallahassee housing market, just visit our Tallahassee Real Estate Market Reports page and choose from numerous reports that are available. Of course, you could also subscribe to the Tallahassee Real Estate Newsletter if you would like these reports delivered to your email inbox. 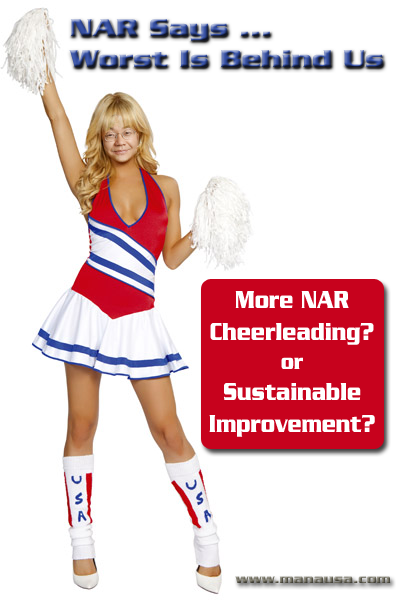 Either way, use these reports to keep up to date with current trends in our real estate market.